One of the reasons I avoid attending Friday congregations at mosques is a specific ritual supplication uttered by Imams at many mosques in Canada and around the world, just prior to our formal Friday community prayer, the Juma'a. 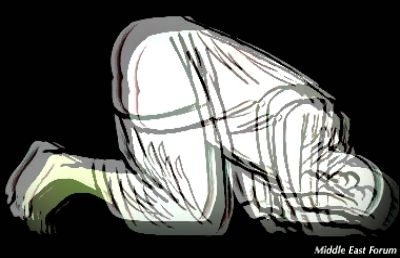 In the supplication, the cleric prays to Allah for, among other things, to grant "Muslims victory over the 'Qawm al-Kafiroon,'" the Arabic phrase that lumps all non-Muslims — Jews, Hindus, Christians, Atheists, Buddhists and Sikhs — into one derogatory category, the "Kuffar", or non-Muslims. This supplication is not obligatory. Not uttering this prayer would in no way adversely affect the holiness or solemnness of the collective community prayer. I have long argued with my orthodox and conservative Muslim friends and family that at least when living among non-Muslims, we should avoid praying for their defeat at the hands of Muslims. They agree, but it comes down to the challenge: Who will bell the cat? Last Friday, the world was still in shock over the Charlie Hebdo massacre when news came that another jihadi terrorist had killed French Jews inside a kosher grocery store in Paris. Enough, I said. I decided to ask friends to take the challenge to a local mosque and stand silently with "I am Charlie Hebdo" placards. I wanted to encourage Muslims entering the mosque to join those Muslims who renounce jihad, denounce Islamist terror and stand by the right of free expression, even of people who insult our Prophet. Only a handful responded to my call. Most of my comrades from our life-long struggle against Islamism were terrified and bailed out at the last minute. Only the president of the Muslim Canadian Congress, writer Munir Pervaiz, and two Kurdish exiles, Keyvan Soltany and Hadi Elis, braved the snow to stand beside me. Far from condemning the acts of terror, the cleric thundered that Islam "will become established in the land, over all other religions." Inside the mosque, I was hoping that in wake of the Charlie Hebdo massacre, the cleric would have the good sense not to speak about non-Muslims as adversaries or enemies, but my hopes were dashed. Far from condemning the acts of terror, the cleric, speaking in English, thundered that Islam "will become established in the land, over all other religions, although the 'Disbelievers' (Jews, Christians, Hindus and Atheists) hate that." I could not believe my ears. There was no indignation expressed at the taking of Jews as hostages by a French jihadi that morning. The imam did ask us Muslims that in reacting to insults we should take the example of Prophet Muhammad himself and follow in his footsteps. The problem with that suggestion is that while there were indeed times when Prophet Muhammad forgave those who mocked him, there were others when he ordered them killed. At the end of his "khutba" (sermon), the cleric repeated the ritual praying to Allah to grant Muslims victory over non-Muslims. That prayer is: "O Allah, pour patience upon Muslims, strengthen their feet and give them victory over 'Qawm -el Kafiroon' (Non-Muslims). "O Allah, give victory to our brothers the Muslims, the oppressed, the tyrannized and the 'Mujahedeen' (those who fight jihad against non-Muslims)". Then we all stood up in orderly rows, turned towards Mecca and followed the imam as he led us in the ritual prayer that is obligatory for all Muslims.